Wrigleyville/Lakeview rarely available 4 bedrooms 3 full bathrooms duplex down "EXTRA WIDE" condo! This light-filled home has been newly rehabbed and freshly painted. Open floorplan with master suite and 1 bedroom up and 2 bedrooms in the lower level. Newly designed kitchen with 42'' white cabinets, marble backsplash, granite counter tops, lighting, refrigerator & dishwasher. Entertain in this awesome living room space with natural stone fireplace and balcony listening to Pearl Jam or Jimmy Buffet. Master Bedroom with 2 separate closets. Redone spa-like master bathroom with both a whirlpool tub & separate shower. Lower level features 10.4-foot ceilings, new carpet throughout, large family room leading out to private patio and 3rd remodeled bathroom. In-Unit Washer/Dryer. Rare 2 parking spaces (1 garage spot & 1 exterior spot). Lowest taxes in area. Additional storage rounds out this vast and wonderful unit. 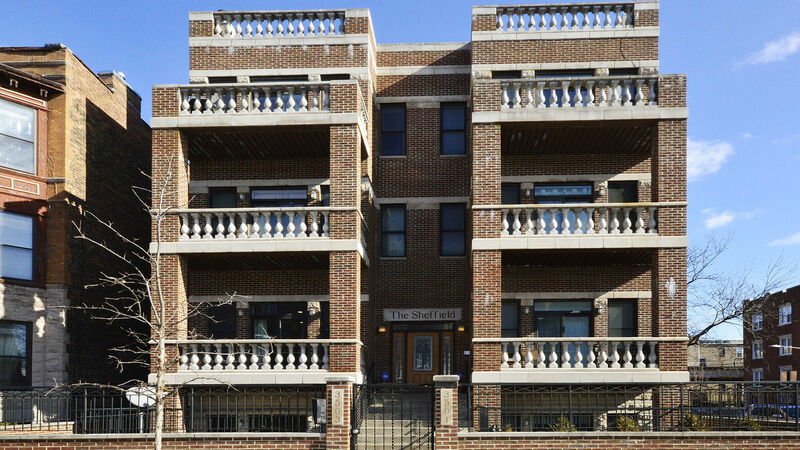 Come live-in and be part of one of Chicago's most vibrant neighborhoods. Property information last modified by seller on Wednesday, March 20, 2019, 01:08 PM CDT. Information Deemed Reliable But Not Guaranteed. Unauthorized duplication, use, or linkage is prohibited. The information on this web site is for personal, non-commercial use and may not be used for any purpose other than to identify prospective properties consumers may be interested in purchasing. Monthly Payment Calculator results are for illustrative purposes only, not a financing opportunity; calculations assume a 30-year fixed-rate mortgage and do not include closing and other costs. Property Tax on NEW properties is estimated at 1.5% of Listing Price for payment calculation purposes; actual value may be higher or lower.